WORKING ON site can be a hazardous business. Bumps, cuts and bruises are everyday occurrences and more serious, long term injuries often happen. With so much happening on site, so much machinery, materials and even dangerous working locations, the potential for accidents is everywhere. There’s a host of PPE products to keep us protected. But it isn’t just physical hazards in the working environment you should be conscious of, you need to be very aware of how weather conditions can affect your performance and wellbeing on site – so that means dressing right. We’re all looking forward to sunny, warm weather this year. As long as you’ve got plenty of sunscreen to protect exposed skin, it’ll produce a great tan, but it can also compound the health and safety issues by creating an extra hazard for personal wellbeing. So, dressing right for the environment you’re working in is important, not only for working efficiency, but also for personal comfort and wellbeing. The best summer workwear is one that creates a climate control system for your body. It will help you stay cool to make getting the job done as easy and comfortable as possible. There are many factors that affect how comfortable your work clothes and safety shoes are, particularly the materials they're made of and whether they're right for the type of work you’re doing. If you’re on the move a lot or want to keep your feet cool, why not try out some of the newer-style safety trainers that combine lightweight, breathable uppers and composite midsoles for comfort and protection. You can even get socks that will keep your feet cool, dry and ventilated. Shorts are fine in really warm weather and some working environments, but they won’t provide protection for your knees and lower legs. 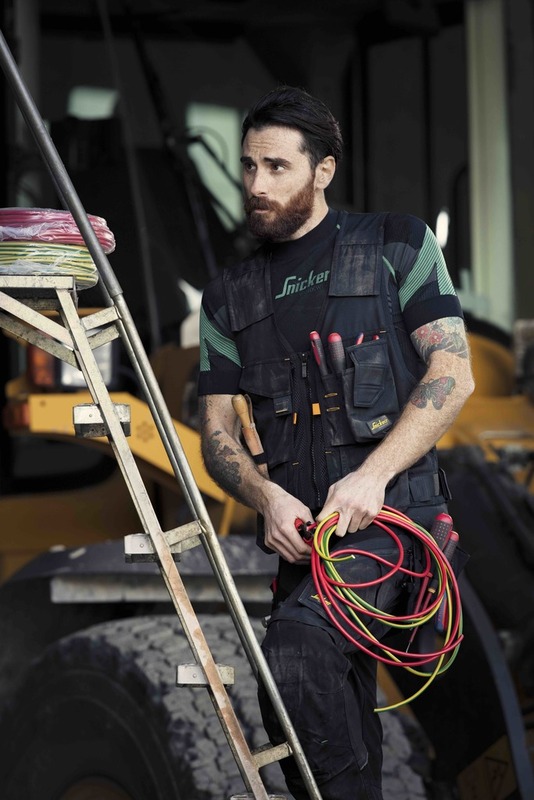 Work trousers made from heavy fabrics will get really uncomfortable and impractical, so think about getting yourself a pair of lightweight work trousers made from a hi-tech fabric that combines comfort with durability. Keeping comfortable and dry will keep you working efficiently, so for your upper body you should wear shirts and lightweight jackets, including Hi-Vis vests, which work for you by pulling sweat away from your skin to keep you dry and your body temperature on an even keel. The last thing you need is for your clothes to get really wet through sweat, leaving you feeling uncomfortable and getting cold when the temperature drops. Don’t wear clothes that become uncomfortable and therefore affect your concentration. For your own comfort and wellbeing, it’s important to stay alert and to pay attention to how you’re feeling when you’re working hard on a hot day. When the going gets really hot and humid, ventilation is the key. Look for hot weather garments that feature advanced designs and ‘intelligent’ materials, such as the ‘37.5’ fabric found in high-tech sportswear, or A.V.S and Coolmax, which is a soft fabric designed to transport moisture away from your body, helping you to stay cool and dry. The high-tech A.V.S. fabric features an innovative blend of polyester and bamboo carbon. The bamboo is ground down to nano-size - one millionth of a millimetre - and blended with the polyester fibre. The result is a highly breathable material, giving you exceptional moisture (sweat) transport, UV protection and anti-odour comfort. Sweat is the cooling mechanism of the body. It protects us from overheating by turning moisture into vapour. This vapour needs to be released and ventilated away from your body or you will end up soaking wet. Which probably is your experience if you have worked in non-breathable materials during hot days.